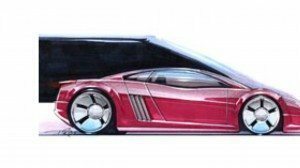 When we think of someone who can draw awesome cars, we think of Chip Foose. I agree, Chip is a very talented artist. I think the show Overhaulin’ has sparked the interest of many of you to learn the skills to draw cars like this. Therefore, I often get asked for tips to draw cars. Unfortunately, I do not have the artistic skills of Foose, but I do have a resource and finally made a video for you. After being asked about how to draw cars several times, I felt compelled to help out. Since I could not help personally, I looked for someone who could. I heard some good things about the resource I mentioned in the video, so I started referred people to that eBook. However, I made it clear that I have not personally looked at the eBook and it is not a recommendation, but a resource for them to consider. This book does an excellent job of showing you how to draw cars and it also touches on shading and adding color. It does not teach you how to use an airbrush like you see Chip Foose doing on the show Overhaulin’. But is does cover the different kind of colors, pencils, pens, markers, etc. to use. If you have already read this book or if you do read it in the future, please leave us a comment on the comment section video above or on this page to let us know what you think about it. I would like to hear the opinions from others. I may not have the skills of Chip Foose, but if you are looking for the skills to repair and paint your car yourself, then I can help you with that. I have hours of free training. All you have to do to gain access is visit www.CollisionBlast.com and provide your first name and e-mail address. You can gain access to free training, free ebooks, and useful resources like this one. Did you find this resource helpful? Please share it on Facebook and Twitter to be a resource for others.